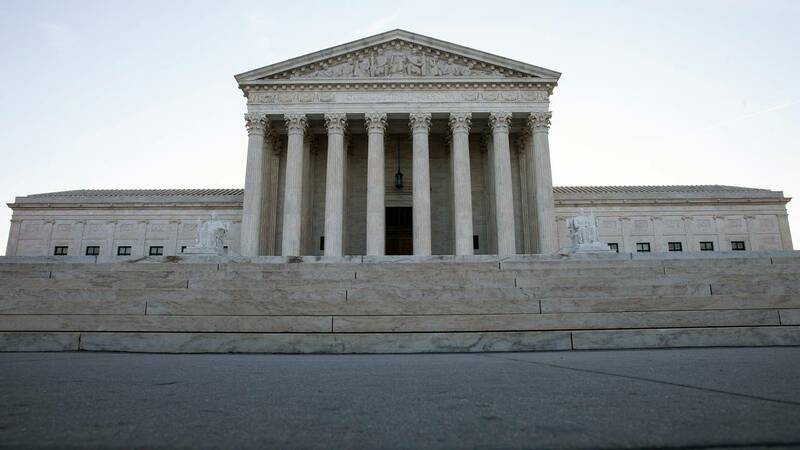 WASHINGTON (CNN) - The Supreme Court grappled on Wednesday with the scope of an immigration law that allows the government to detain without bond those living in the US legally with past criminal records. The case centers on whether detention must occur promptly upon an immigrant's release from criminal custody or whether it can happen months or even years later when the individual has resettled into society. The statute says simply that the arrest can occur "when" the person is released from custody. The arguments come as the government has taken a hard line across the board on enforcing immigration laws. Justices were reviewing an opinion from a panel of judges on the 9th US Circuit Court of Appeals, which ruled against the government in 2016 holding that the Department of Homeland Security can detain without bond only those criminal aliens who were taken into immigration custody "promptly upon their release from the triggering criminal custody," not those detained long after. Wednesday, Justice Stephen Breyer expressed concern that the government's read of the statute was too broad and seemed to suggest that there should be some sort of reasonable standard that could limit the government from detaining an individual, for example, some 50 years after he has finished serving his sentence. Justice Brett Kavanaugh, who was only hearing his third Supreme Court argument, seemed sympathetic to the Justice Department's argument that when Congress passed the law, it chose not to insert a time limitation to the government's action. "Congress knew it wouldn't be immediate, and yet Congress did not put in a time limit," Kavanaugh said. "That raises a real question for me whether we should be superimposing a time limit into the statute when Congress, at least as I read it, did not itself do so." But at another point Kavanaugh suggested some sympathy for Breyer's suggestion of a limiting principle. Justice Samuel Alito emerged as one of the strongest supporters of the Justice Department's position. Mony Preap was born in a refugee camp after his family fled Cambodia's Khmer Rouge. He arrived as an infant in 1981 and was convicted twice in 2006 of possession of marijuana. Years after his release, he was transferred to immigration detention after a short sentence for simple battery, an offense that does not trigger mandatory detention. Preap's lawyers at the American Civil Liberties Union argue that under the government's interpretation of the law those individuals who could prove to an immigration judge that they pose no flight risk will instead be confined in detention for "months or even years on end."